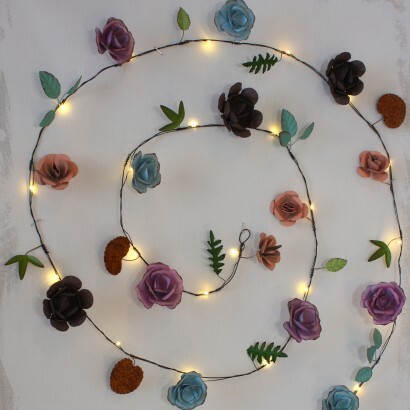 Your home or garden will be in full bloom all year round with these gorgeous hand crafted rose string lights. 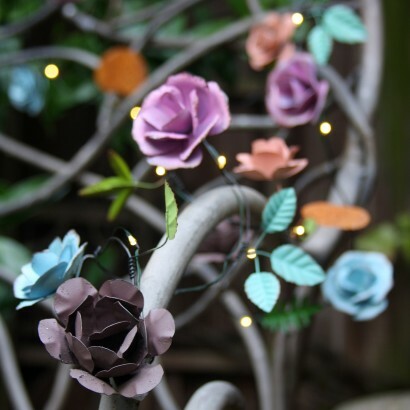 Lit by twenty warm white LEDs, these stunning metal roses are hand painted in pink, blue, peach and chocolate complimented by pretty ferns and turquoise leaves to make a stunning light chain. 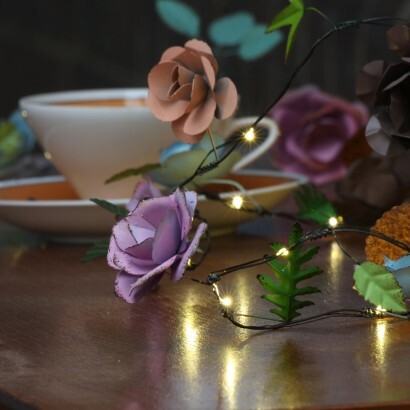 Battery operated and IP44 rated for outdoor use, these beautiful fairy lights are set on a poseable wire so that you can create shapes and features, and with a timer function, you can set them to come on at the same time every night! Absolutely beautiful. Very pleased with my purchase. Have also bought the clematis string lights. They are also very nice indeed.